Having initially planned to interview an at the moment very hot graphic-designer as a foundation for my essay on contemporary design practices, I have been busy preparing myself for the last few weeks. When the person realized that I was not only interested in paying credit to her work, but more on taking it as a starting point for a broader discourse, she must have somehow felt offended, which then lead to not answering my messages anymore. But maybe this unpleasant situation is a way to grasp something much more important. Something she shares with millions of other designers. By name: The fear of getting lost in the digital haze of simulacra through not being present in the right discourse. The fear of being rumbled and detected as: a Trend. That leads me to the questions: What is behind the designers glimmering self-promotion facade in the haze of social-media? How aware are graphic designers about the form of language they use? And last but not least: How does this influence the increasing visual conformity in contemporary design? As modern graphic design has one of its major roots in the post-war development of Swiss Style it might be worth having a look at its approach in order to deal with the questions raised. Since figures like Emil Ruder, Helmut Schmid, Hans-Rudolf Lutz and Wolfgang Weingart amongst others were very aware of the designers` responsibilities towards their work as well as society, the relation of form and content played a crucial role. With the appointment of Emil Ruder as a teacher at the Kunstgewerbeschule Basel in 1942 things started changing in Switzerland. Breaking with the tradition of symmetrical and dogmatic grid-based layouts the young Swiss typographer defined new rules for a new mind-set, challenging his fellow designers. Typography at this time was a heavily discussed field from the highest sensibility. Only the smallest disagreements about the fonts chosen and the way they were used, led to outrageous debates. As a result of that Ruder was constantly pushed to defend his position. This made him very aware of the design decisions he took and led to him consolidating a clear personal attitude – which inspired generations after him. But how did it really look, his attitude? “For Emil Ruder space has never been merely a lifeless paper surface to be covered with lettering or ornamentation at will. In his hands the passive background transformed into a vital and active foreground. Every piece of typography thus becomes a picture in which black and white are played off against each other; indeed, an effect of depth is often created, the eye being led by lines or rows into a third dimension. Letters, words and groups of text form perfectly legible elements in space but are at the same time figures moving on the paper scene; designing in type – typography – might almost be said to be akin to staging a play. However Emil Ruder took a very clear position, not only design-wise. With the creation of political posters, like the one shown, he actively engaged in the societal debate. And that directly leads me to the work of probably his most famous student: Helmut Schmid. After completing a typesetting education in Germany, Austrian designer Helmut Schmid got accepted at the Kunstgewerbeschule and studied there together with people like Karl Gerstner and Hans-Rudolf Lutz. 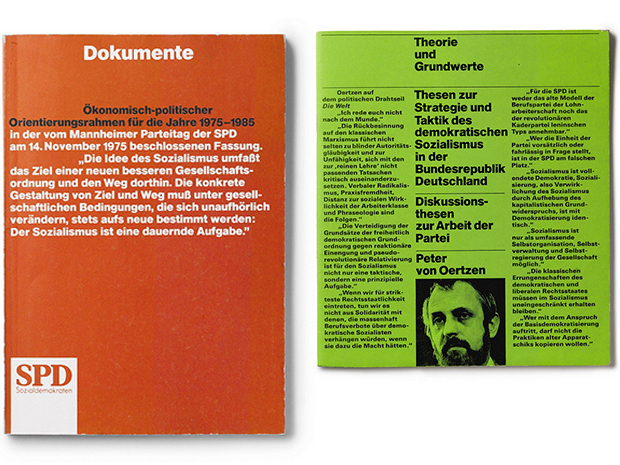 Firstly, Helmut Schmid was initiator of the so-called typographical reflections – a series of booklets constantly responding to current political events. In the example shown Schmid illustrates a newspaper article about former US-president George Bush mixing up the two terms democracy and hypocrisy. 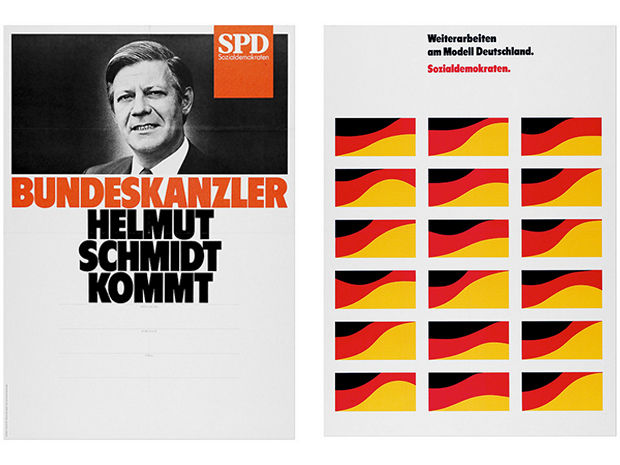 Secondly, Schmid developed a completely new corporate design for the social democratic party in Germany and the successful campaign for his namesake, the old-chancellor Helmut Schmidt. The magazines designed for that campaign were inspired by a series of covers Hans-Rudolf Lutz created for the Typografische Monatsblätter ™ in 1977. For that Lutz mimicked the title-page-designs of popular magazines and adapted them to the format of the tm, showing how consumers mostly read title pages by its visual appearance only. Helmut Schmid made use of that effect and imitated Germany’s most popular tabloid in order to mislead voters and promote his candidate. Having mentioned Hans-Rudolf Lutz twice so far, it is necessary to say some things about him: Lutz was – besides his study-time in Basel – active in the expression typographique group in Paris and later on, busy teaching typography to famous schools in Switzerland, Germany and the US. 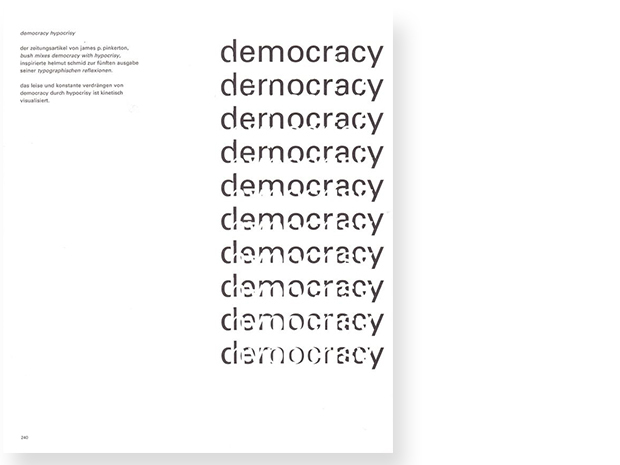 Lutz also had – like Ruder and Schmid – a political approach towards design. Through running his own and still existing publishing house, he released important books not only on graphic design and educational topics, but also on literature. 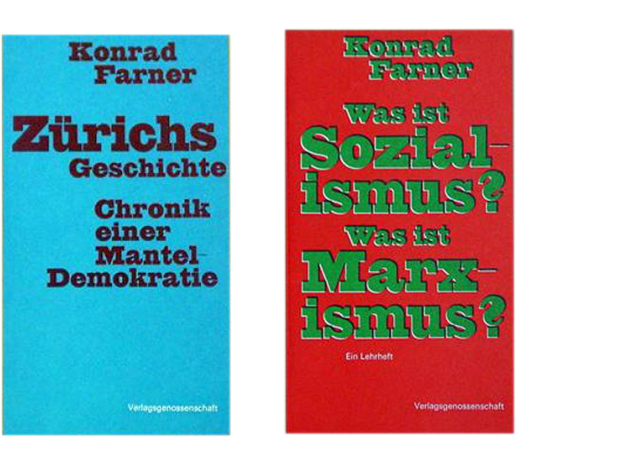 For example he printed editions of the, at that time, boycotted Marxist author Konrad Farner in order to make his work accessible for people. Being aware of this, the term of “attitude” played a central role in Helmut Schmid’s work. As part of a research project at University of Applied Sciences Düsseldorf in 2005 a monograph with the title “design is attitude” was published. In addition to documenting Schmid’s graphic design work, he wrote about his personal approach to typography and his general design philosophy. 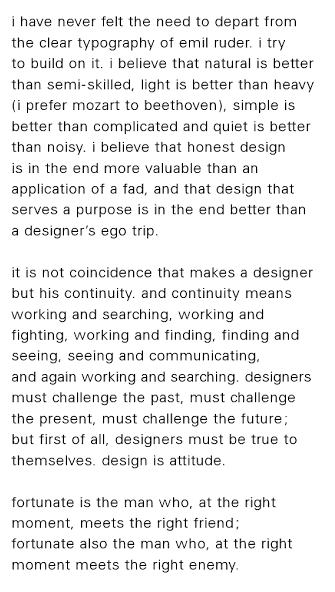 The following passage (out of the book) sums up his understanding of graphic design rather well. 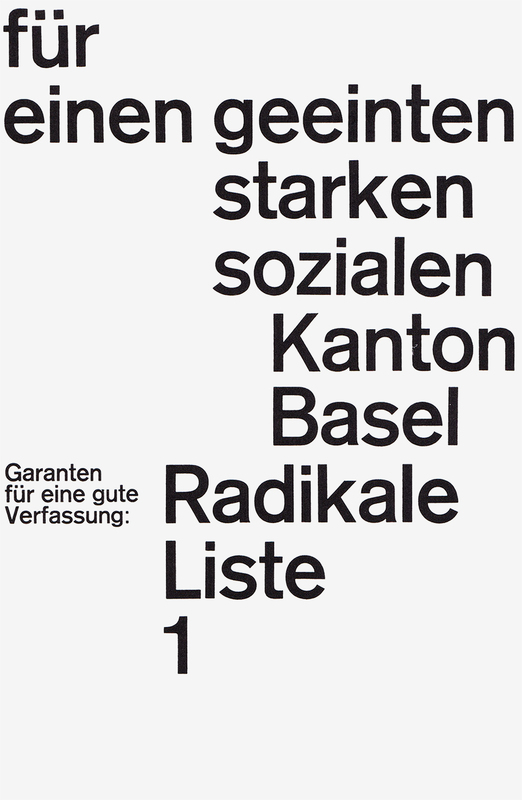 There was, of course, also a time after Ruder, Schmid and Lutz – a time of even louder rebellion against the Swiss Style of typography, aiming for a not yet existing, complete freedom in design. One of those revolutionaries, for example, was the third Ruder-student Wolfgang Weingart – a designer questioning his teachers’ attitude just as Ruder did in his early years and paving the way for numerous aesthetic developments taking place in later decades. With Weingart graphic design reached a breaking point, because he made the debate about Swiss Style become international. April Greiman, an American graphic designer visited Weingart (who later became a teacher at Kunstgewerbeschule) in Basel and took his ideas to the US, where she again inspired people like David Carson. Also Neville Brody teaming up with Erik Spiekermann in London began breaking, bending and bounding typography-rules in exciting experiments. And today this is, more than ever before, one of the big challenges. To give the things we design meaning again and prevent us from getting lost, like I mentioned in the beginning. Although the things raised are only small observations, they still can be taken as an example to show how the designers’ relation to what was called “attitude” formed in a time of hardened structures and endless possibilities. In that sense: Do not let ourselves be overcome by the tempting resources of endless aesthetical trends, but instead consciously approach our designs in order to make them either different for a reason or sustainable for a purpose. But never trendy, just because of a need to belong somewhere. 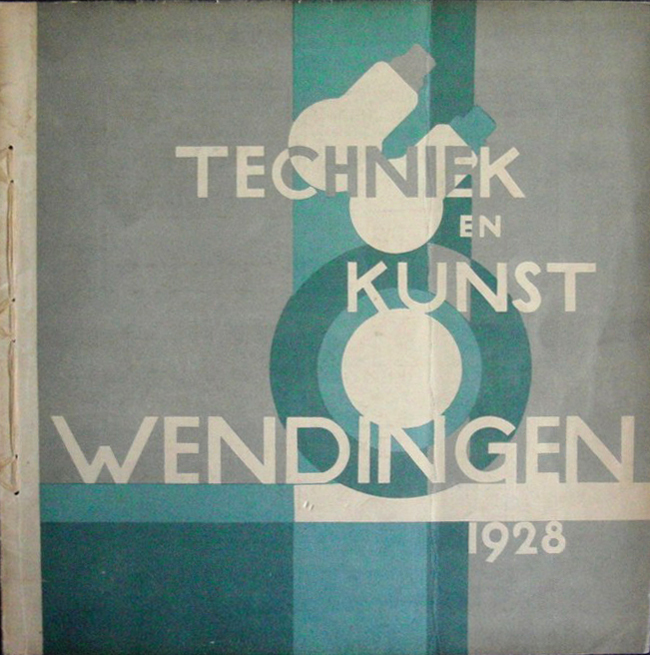 When i first went trough the pile of Wendingen magazines something struck me when I saw the cover of the “techniek en kunst” edition. At that point i didn’t really know what it was about that edition, but when thinking more thoroughly about it I had the feeling that I had seen it before. Going through my archive of pictures I found a poster designed by Karl Gerstner that had a lot of similarities. It left me thinking how amazing it was that something that was designed an odd thirty years later had a lot of the same qualities. The cover of the Wendingen magazine was designed by Wim Gispen, one of my favorite Dutch industrial designers. Before this discovery I only knew Gispen for his famous chairs, lamps and interior architecture in general. Unaware of the fact that graphic design at that time was not really labeled a profession, designers also did graphic design on the side. Though you can see that the cover designed by Gispen is an early design and not really modern any more it still has some modern qualities. The use of shapes, circles, overprints and probably a grid in my opinion is quite modern. I think it fits in the same style of work as the early Swiss style of graphic desgin. 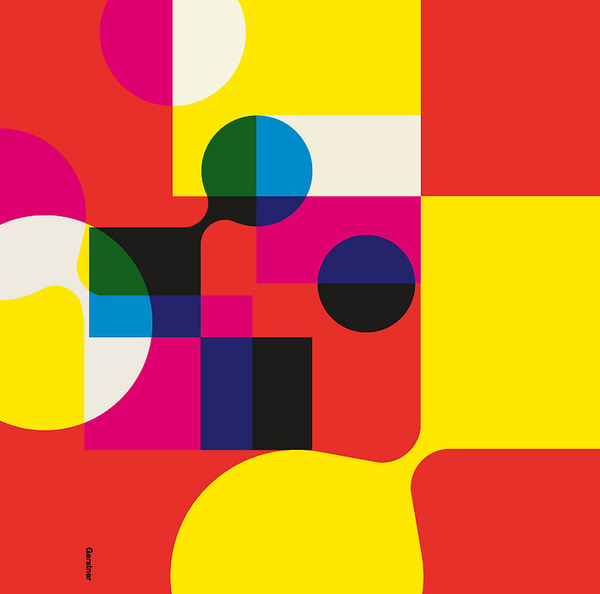 That is why it reminded me of the work of Karl Gerstner a Swiss graphic designer that was part of the Swiss style. 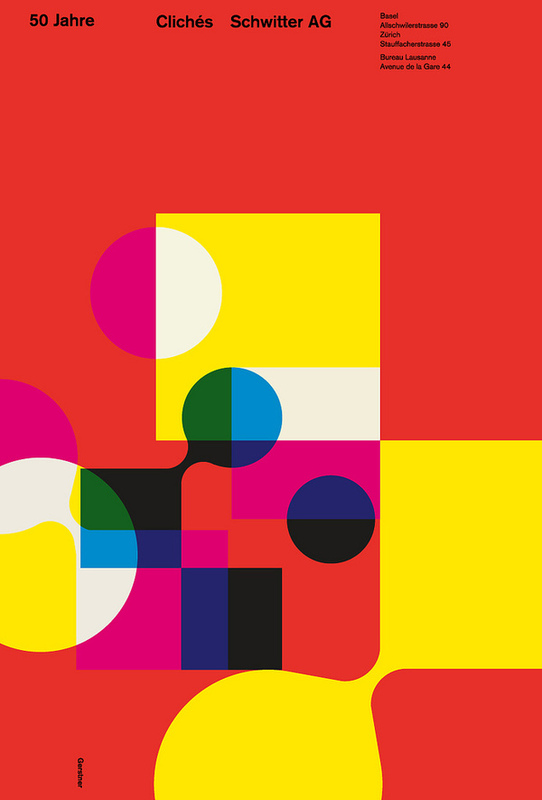 A movement that I am a big fan of because of their simple use of shape and subliminal use of color. Because Gispen is more linked to “de Stijl” movement I would have never expected that he designed the cover for the Wendingen Magazine but overall I am quite happy that I picked this copy because of the insight it gave me in early graphic design and the progression it went through over the years.